Many amateur web designers are able to construct a website that has visual appeal. But they may fail when it comes to on page optimization. Web designers that overlook this problem could find that they need to carry out additional work to locate and repair any on page optimization problems. In order to avoid this problem you are advised to follow the best practices for website optimization. If you want to create a web friendly site then follow the checklist below. 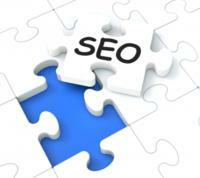 The order of the internal page linking tends to play a major part in deciding your ranking for the big search engines. To begin with don’t be tempted to add random internal links. Create links to boost user experience. For instance you could refer to a product on your blog and create a link that gives further information relating to the same product. Anchor text is another important aspect of internal linking. If your website has a lot of pages then use the anchor text sparingly. Google and many other search engines tend to take a dislike to those who abuse anchor text in order to make internal links. Be in no doubt, content is king. By all means hire good content writers but bear in mind that Google, the world’s most popular search engine, utilizes complicated algorithms to assess the quality of website content. If you want to avoid conflict with Google on account of the aforesaid algorithms you should create exclusive content that has no grammatical errors. Google will not tolerate content that is grammatically incorrect or full of spelling mistakes; your site will be penalized and consigned to the backwaters of the web. If you continually post uninteresting blogs then readers are likely to leave very unflattering reviews and comments concerning your website. Don’t consider keyword stuffing. In general you should use the keywords in a natural way and place them evenly throughout your content. Make sure that your keyword density is not too high. Try to refrain from making too many links that lead to other web pages. Google will think that you are trying to spam those who visit your site with content that is totally irrelevant. In order to establish yourself as an expert in a particular field you need to create relevant content. The way in which your site is built is important, especially for on page optimization. This is why it pays to create a URL that is short and easy to remember. Just think about it, you will need to link up to the social networking sites so you should create a URL that is search friendly. In addition to this your website needs a Robots.txt file; this will make it easier for the crawlers in the search engines to index the web pages. Consider using an XML sitemap, when you add fresh content this helps the search engine crawlers to locate and index those new pages. Remember to keep testing your site page upload speeds on a range of mobile devices. Always test the upload speeds on laptops and traditional PCs too. The giant web retailer Amazon conducted a study and they found that sites that took 100 milliseconds longer to load their pages experienced sales decreases of around one per cent. If your webpage takes time to load then you could be jeopardizing your business. Your title tags should never go above seventy characters and that includes spaces. There are other important things to consider when building a website, these include dofollow links, Meta descriptions, heading tags and nofollow links. Many websites accommodate hundreds of thousands of videos and pictures that are sent in by those who use the web. If your website acts as a host for pictures and videos you will need to optimize these pictures. Humans can instantly understand what is conveyed in an image but web crawlers don’t have the same ability. They can decipher the parse text but they are unable to understand the pictures. If you need to optimize any images then you will have to utilize alternate text (Alt text) in order to add descriptive details. The description should be relevant and short. Open a file and give it a name that is similar to your alternate text description, this is a key part of optimizing images. Other essential elements include image linking and image title. Over one billion people use social media networking sites. This is why it would be unwise to ignore social media. Add a social media button to every page on your website. BrightEdge Technologies discovered that sites using integrated social media buttons are mentioned much more on the social networking sites. Certain sites such as Twitter limit the number of characters that can be used, so beware of this. It is helpful to use the Google Analytics tool to see how many people who belong to social networking sites visit your site. It takes far more than attractive graphics and fancy codes to create a great website. There are many things to take into account including keyword use, images, site architecture, link quality, social media buttons and quality content. All of the above are SEO elements that could help a website to climb to the top of search engine searching.